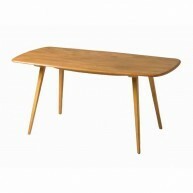 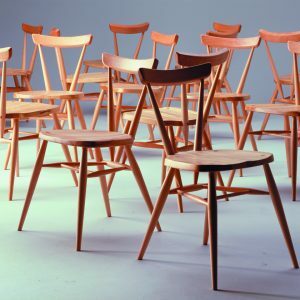 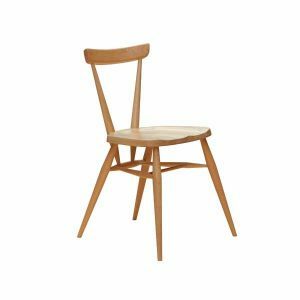 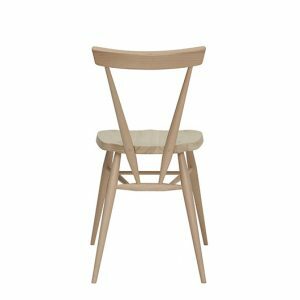 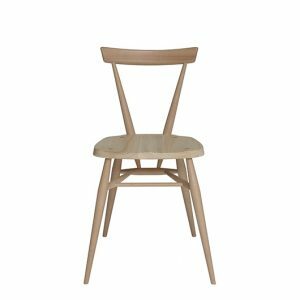 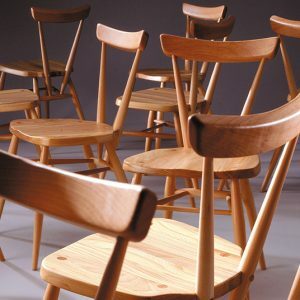 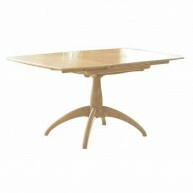 Categories: Dining room, Dining chairs, Ercol, Windsor, Ercol Originals Tags: Ercol Originals, Windsor Brands: Ercol. 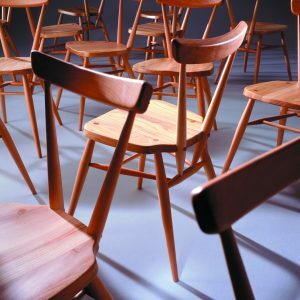 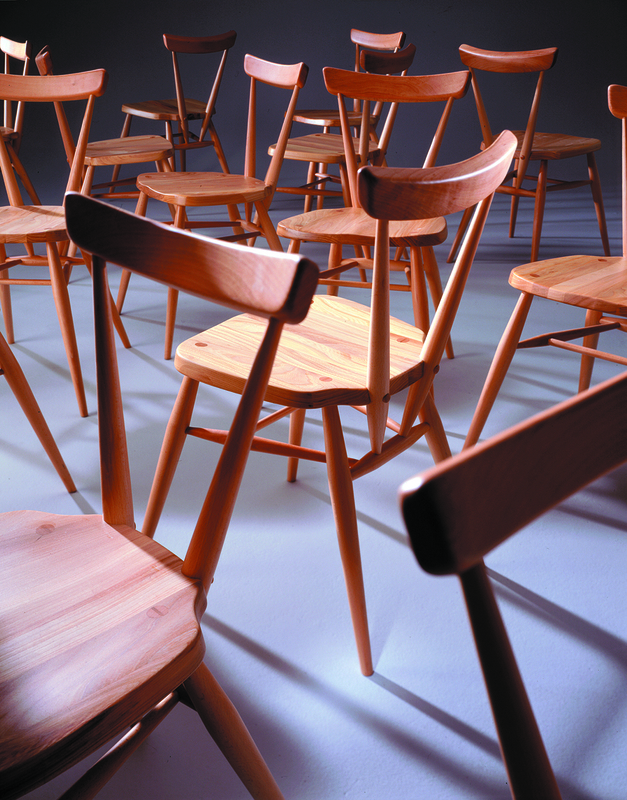 The outward facing, tapered legs on these chairs mean that they stack vertically when they are not in use, combining versatility and style. 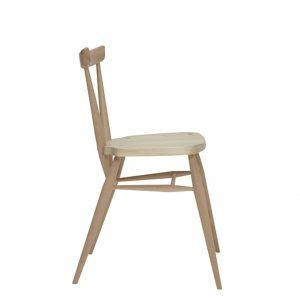 The curved horizontal seat back not only looks good but also provides a supportive sit, combined with the moulded sturdy elm seat. 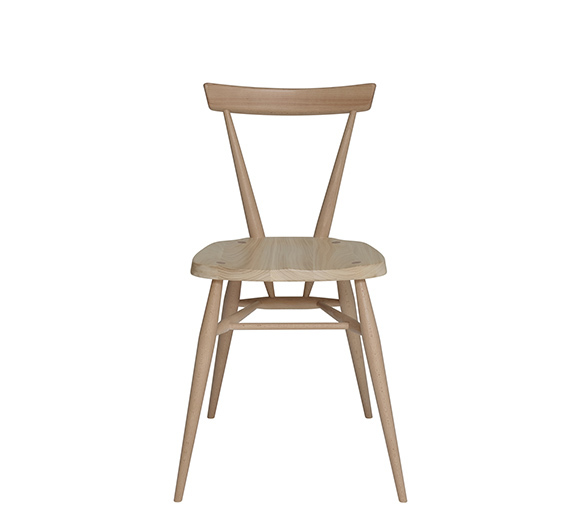 A feature of this dining chair is the classic Windsor wedge joint, where the leg of the chair goes right through the seat; a wedge is then inserted into a cut in the leg, forming a remarkably strong joint. 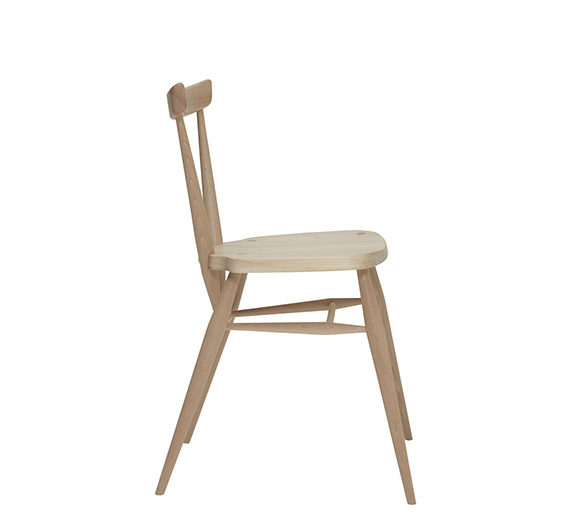 Sanded off flush with the seat, the joint then provides a beautiful design element. 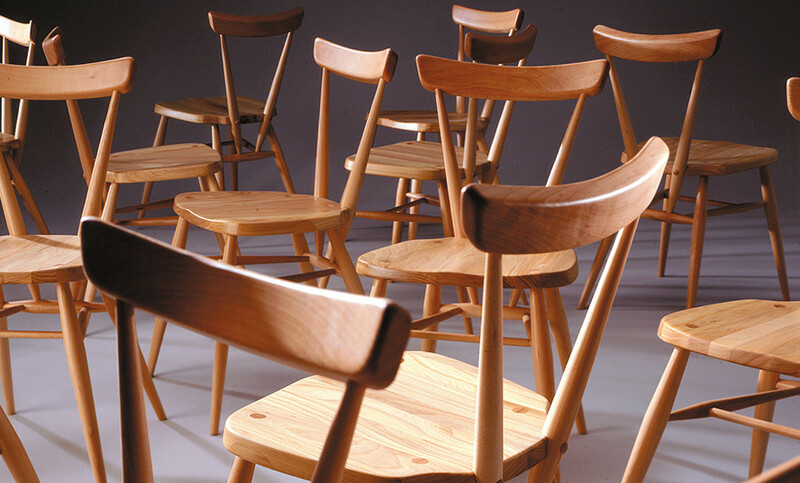 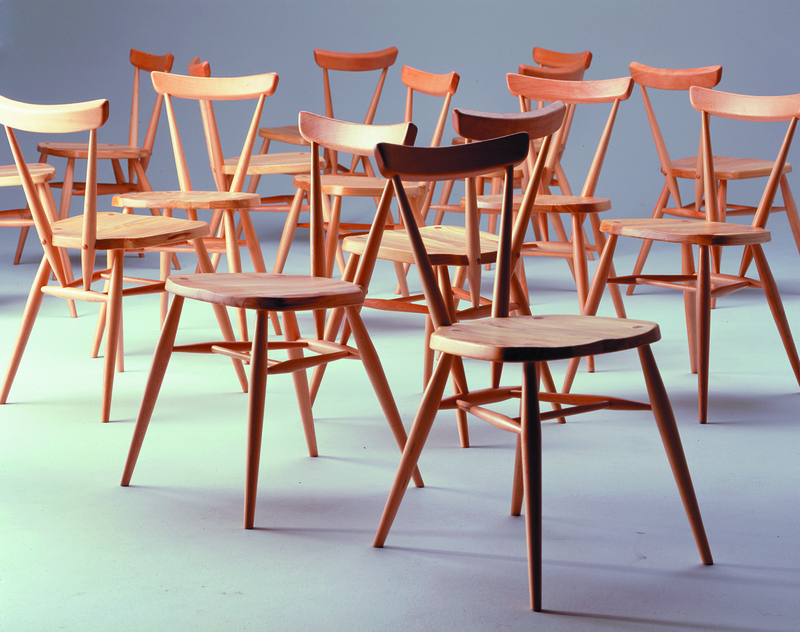 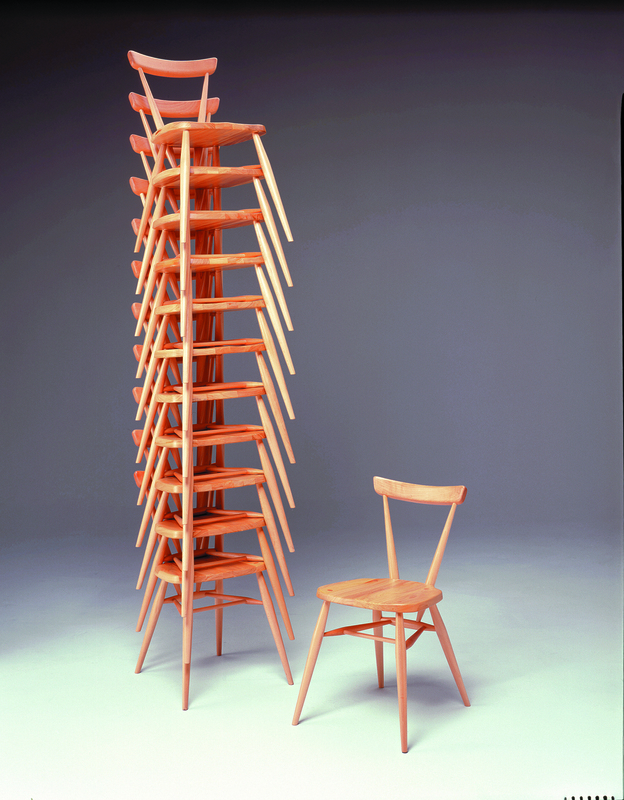 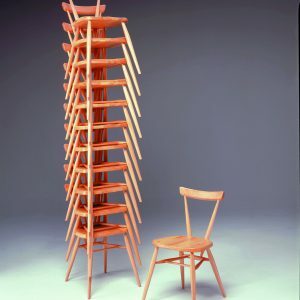 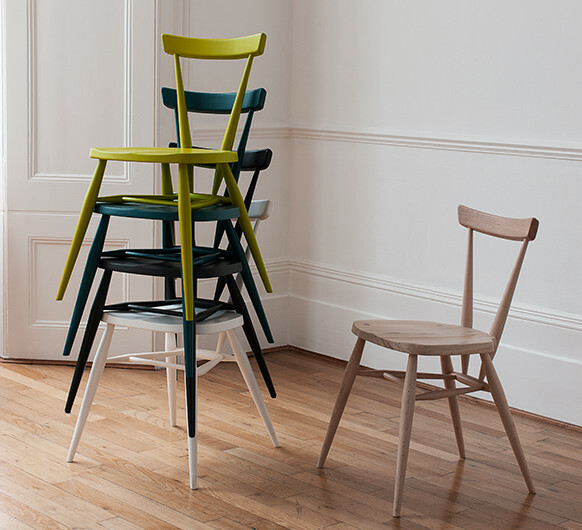 First launched in 1957, the stacking chair is as fresh today as it was then. 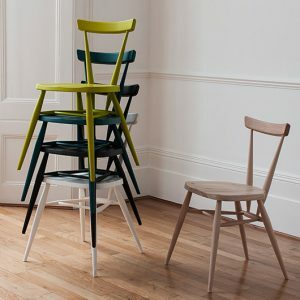 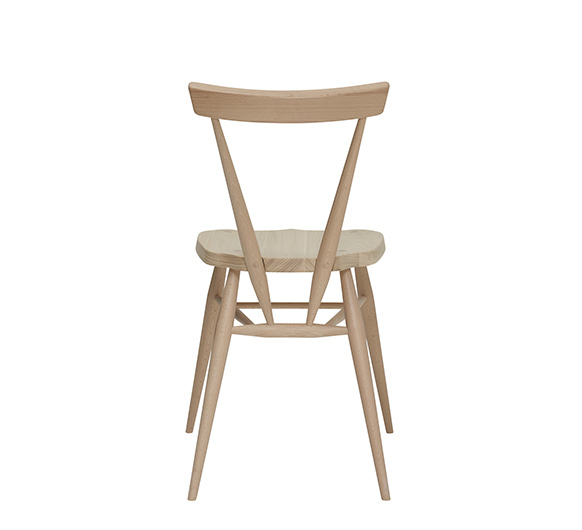 The stacking chair will be finished in your choice of a range of lacquer finishes or in a choice of our painted colour finishes, which protects the timber as well as fitting in with your style and decor.